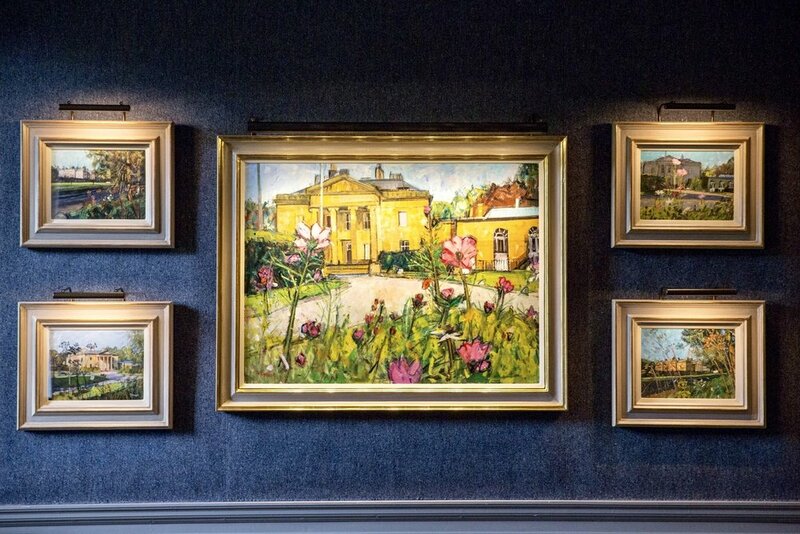 Gordon MacIntyre-Kemp unveils new drawing room at Balbirnie House featuring Archie Forrest's "WildFlowers Balbrnie"
We are delighted to be holding Archie Forrest's first major exhibition with Portland Gallery since 2013. 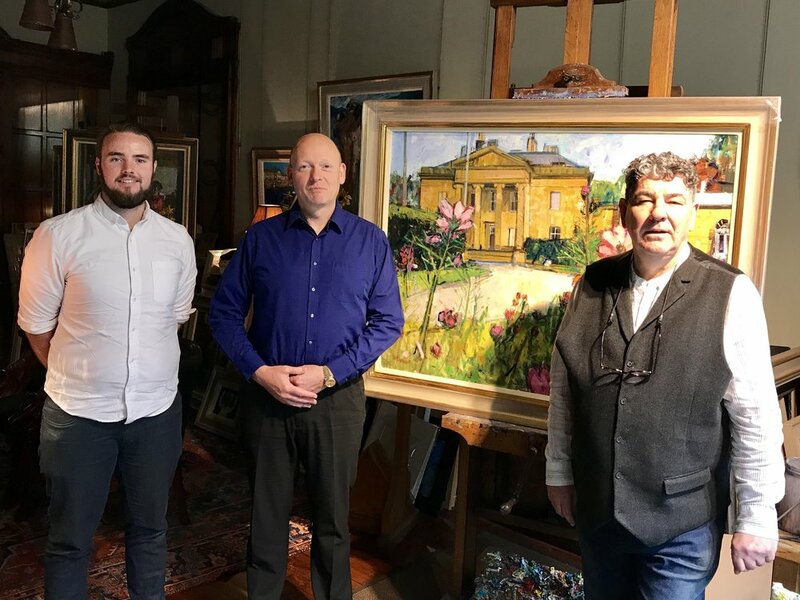 Archie is Scotland's leading contemporary Colourist painter and has been exhibiting at Portland Gallery since the late 1980s and this new exhibition will comprise a large body of exciting new works. Here are some photographs of the new Monklands Satellite Beatson. Last year I was asked to donate some of my time to produce some arty things for the fabric of the building. The idea was to bring outside elements inside. Treatment must be more comfortable when the place looks as good as this. Archie Forrest is to feature in a mixed summer exhibition at The Portland Gallery, London, which opens on the 27th of July 2016. A carefully curated selection of some of the best works currently being produced by our contemporary artists, alongside good examples of Modern British works which we currently hold. It goes without saying that each artist has their own unique vision, but there is an interesting synergy between many of our living artists and those that came before them and by bringing them together our objective is to illustrate these connections and influences to show how some current artists have tackled similar subjects and techniques, yet still have developed their own unique bodies of work. Many of the artists included in this e-catalogue will be having solo shows at Portland Gallery in the coming year and this collection previews some of the works which will be included in those exhibitions. If you would like to be notified of any of their shows in advance, please do let us know and we will keep you informed. Archie Forrest has kindly donated wall murals and art works for the new Lanarkshire Beatson, which opened in November 2015. He also produced a bust of Sir George Beatson which can be seen at the Beatson Hospital at Gartnavel, Glasgow. Archie Forrest opens the door to his studio in the west end of Glasgow to announce he is in a bit of an "adrenaline frenzy". It is the day before he must deliver the 60 new paintings he has been working on for the last 18 months for Ensemble, his fourth solo exhibition. The men in white coats are coming tomorrow morning to pick them up, and he knows he must put down his brushes. But he can't let go quite yet. This bust of Donald Dewar can be seen in Kelvingrove Art Gallery and Museum, Glasgow, as well as The National Portrait Gallery in Edinburgh.